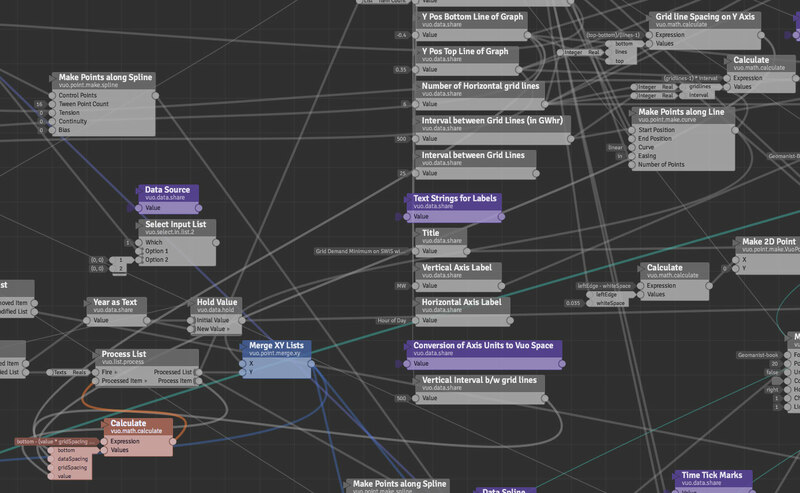 Look at this image and tell me where the Calculate node (brown tint) input wires come from (it is currently selected). I find it very hard to trace cables sometimes. Having the ports half hung-off the nodes makes no difference IMHO, even in the example comps I notice cases where wires are overlapping and impossible to trace. (Tracing wires was the original rationale for port position relative to node edge in Vuo pre-launch days). Now consider this possibility. Wires get colours assigned in order of input ports no matter how many nodes are selected, all node input ports get coloured in this way until deselected. Alastair, since there are significant design changes coming in the next major release (thanks to suggestions from you and others in the community), let's reassess after that: is wire tracing still a problem, and if so, how would rainbow cables or other solutions work out with the new design? Jaymie It's not clear to me what port design has been adopted for the redesign (inside like QC/Origami, half-inside-half-outside like current or completely detached like [insert vis. prog. tool here]). Either way I think when you have enough wires, especially when they come in at angles closer to the vertical than horizontal and the are wires are all straight there's going to be trouble tracing them. That's what the colour coding thing would solve. Maybe people consider it more trouble than it's worth. (Caps-lock or a shortcut could turn the feature on and off). In terms of current Vuo vs QC/Origami I find it just as easy to get a bit confused about wire origins/destinations at times and having the ports half slung off the edge of the node is never something I particular took to in an aesthetic (see video link) and did sense any improved functional capability over QC/Origami port design. 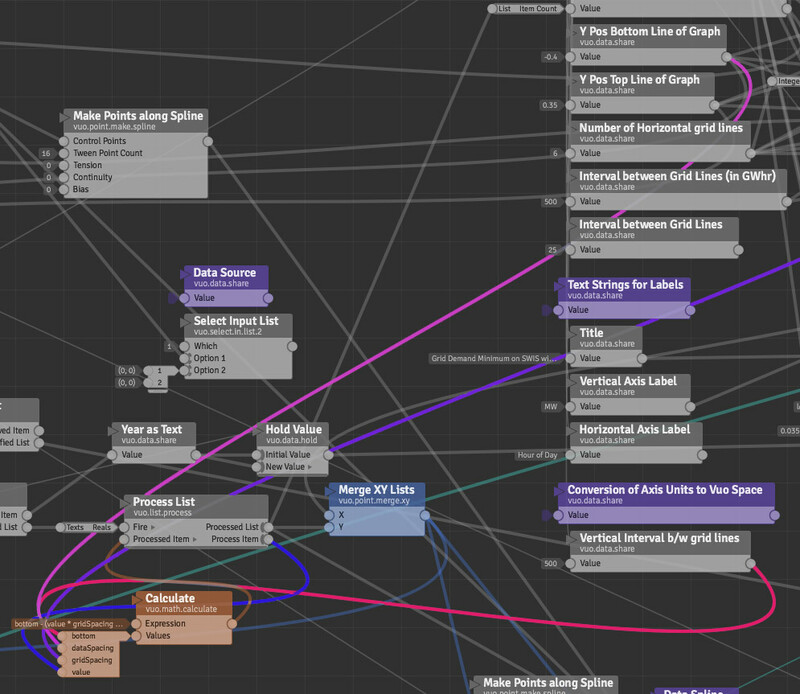 If a more functionally discriminating GUI can be worked out my solution of colour coding selected node wires would be less relevant. Another feature request I've been sitting on, reversible patch orientation (horizontal flip for nodes) would also help de-clutter the canvas. Will add that FR now.